Hair that never says yesterday. 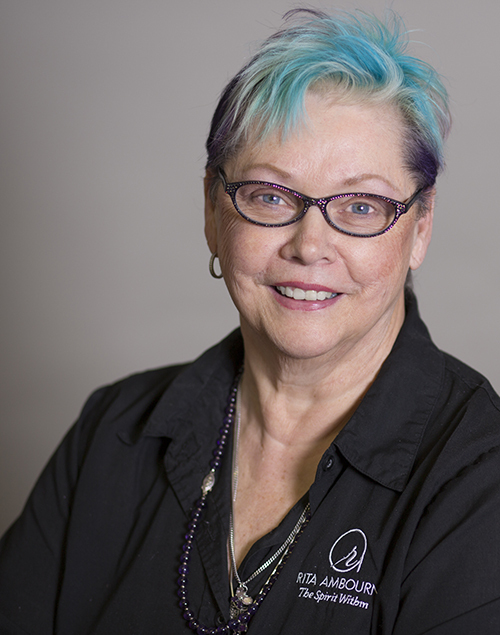 Rita Ambourn has won over 100 awards, including being named the number one hair cutter in the Midwest in a competition judged by Vidal Sassoon. She has been a member of Intercoiffure, the most prestigious hair organization in the world, since 1979. Rita presonally produced two Intercoiffure shows in New York City, receiving standing ovations for both. The head sculpture she created for one of the New York shows was seen at Studio 54 by Andy Warhol who described it as “a true vision of creative art”. Rita has acquired a vast and impressive education, studying with the esteemed Alexandre of Paris, Vidal Sassoon of London and Hans and Georg Bundy of Austria. Our goal is to provide individualized service to create exceptional results. GO WITH THE BEST, RITA AMBOURN HAIR & DAY SPA. Please call to set up an interview at 651-698-5537.